Need Repairs for Auto Glass in Hamilton? Your windshield safeguards you against rain, snow, and flying debris as you drive. In the process, it can take a beating. It may accumulate rock chips, or one heavy blow could even shatter it, obstructing your vision and making your car less safe to drive. You deserve to have a dependable, secure vehicle, so when you need new or repaired auto glass in Hamilton, come to Sure Auto & Glass / Rust Check® Centre. We'll repair your windshield for a competitive rate. 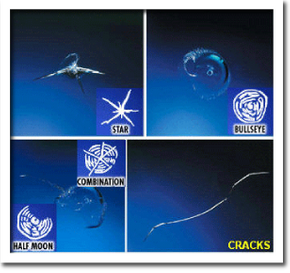 And if we can't repair your auto glass, you can count on us to replace it. Need to Replace More Than Glass? We don't just replace glass. We can also replace all glass components and door glass regulators. Without door glass regulators, your car's windows couldn't move up and down. Furthermore, we can cut safety glass for any older vehicles or equipment. Want Your Windshield to Repel Water? At Sure Auto & Glass / Rust Check® Centre, we proudly offer you the option of applying Aquapel to your windshield. Manufacturers originally designed this treatment for airplanes, but we can apply it to your car. Aquapel chemically bonds with your glass to create a water-repellent surface. Water will simply bead and shed off your windshield. The process only takes a few minutes, and the results last for months, even in extremely harsh conditions. Do You Need to Pay Through Insurance? If you have comprehensive coverage on your auto insurance, your insurance provider will almost always cover the entire cost of your repairs. However, even in other cases, we try to cover as much of your deductible. We can often cover your entire deductible, which translates into no cost to you. To learn more about repairing or replacing auto glass in Hamilton, give Sure Auto & Glass / Rust Check® Centre a call at 905-385-0022. 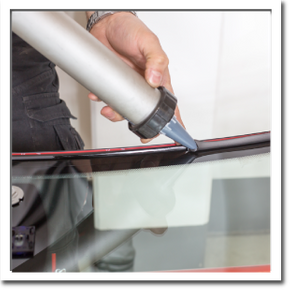 For auto glass in Hamilton, turn to the professionals at Sure Auto & Glass / Rust Check® Centre.